Australia’s legendary, one and only rock and roll and animal free circus Circus Oz will be landing in Sydney soon. 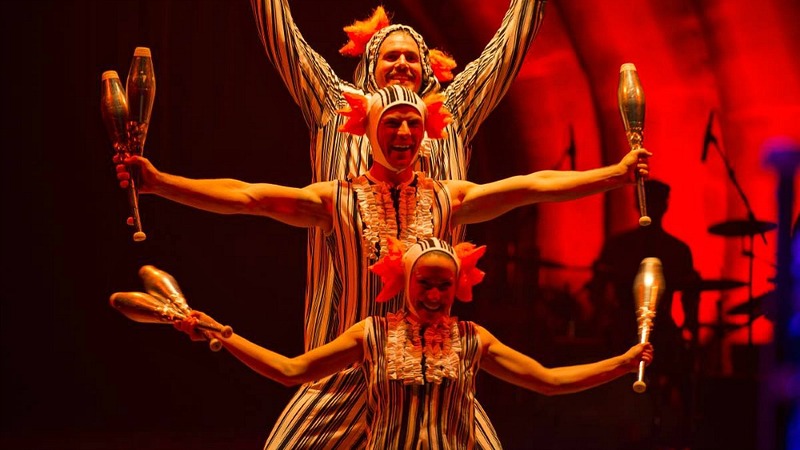 Credited with revitalising a traditional artform in a uniquely Australian way, Circus Oz has influenced the development of circus arts around the world since its foundation in 1978. 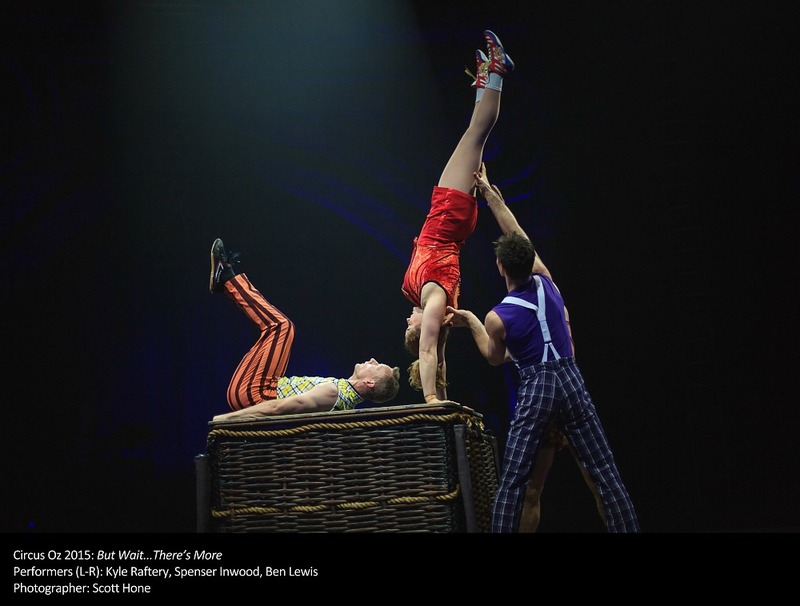 Circus Oz undertook its first and critically praised international tour in 1980 and has continued touring to over 100 cities and regions in 27 countries – in all playing to over 3.7 million people. 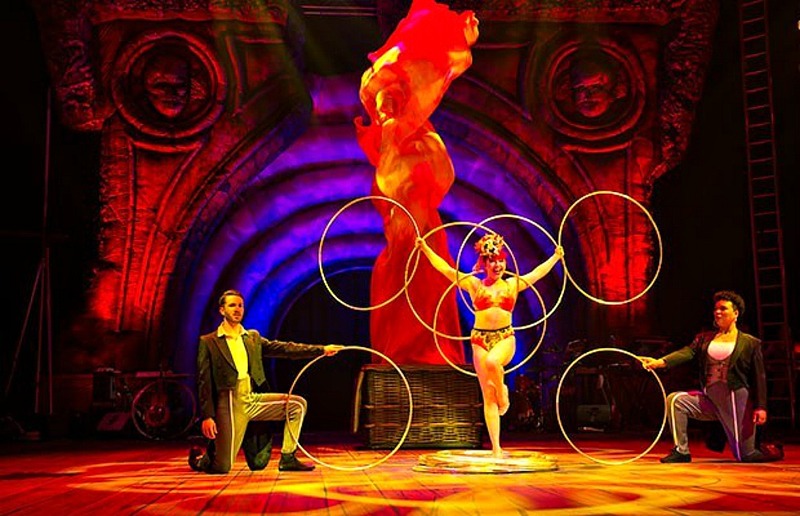 Their new show BUT WAIT…THERE’S MORE is the first to have been created in their new custom circus home in Melbourne. 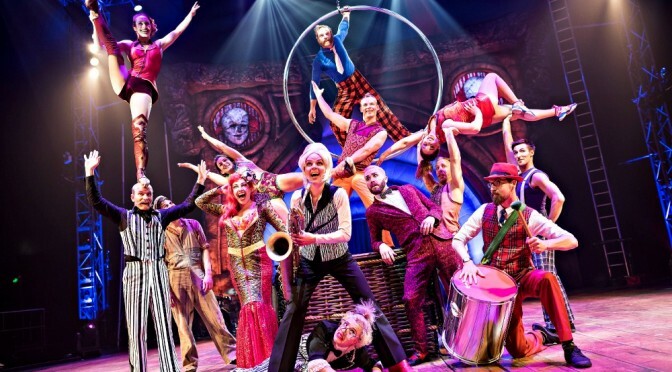 The show will feature 12 fabulous performers- graceful men, strong women, incredibly intricate and innovative jugglers, lyrical and virtuosic unicyclers, hilarious flying trapeze artists, booty-shaking hip-hoppers, highly-musical-acrobats and highly-acrobatic-musicians. 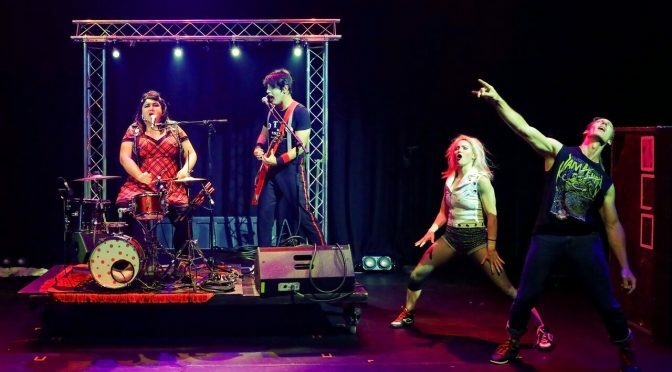 Performed under the Big Top within a spectacular large-scale set inspired by an abandoned theatre in tatters, But Wait…There’s More promises to be punchy, exciting and a funny vaudeville-inspired show for humans of all ages. The show will be presented at breakneck speed through cheeky impersonations, ridiculous knockabout and multi-skilled human physical exuberance. There will be a breath-taking amalgamation of tricks and ideas, including a satirical look at today’s culture of infobesity and consumer overload based around society’s focus on stuff. BUT WAIT…THERE’S MORE will be playing at the Showring at the Entertainment Quarter from the 30th December till the 24th January. Running time 2 hours including a 20 minute interval. For performance times check the website. Bookings ticketmaster.com.au or 136100. 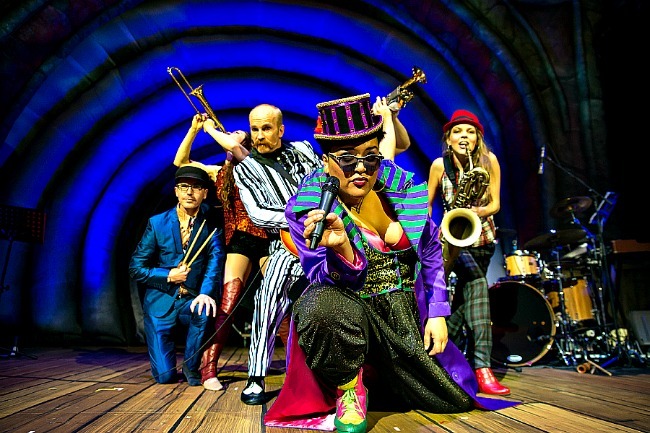 Featured pic – The Circus Oz Ensemble. Pic Rob Blackburn. BUT WAIT…BEFORE YOU LEAVE THIS PAGE! 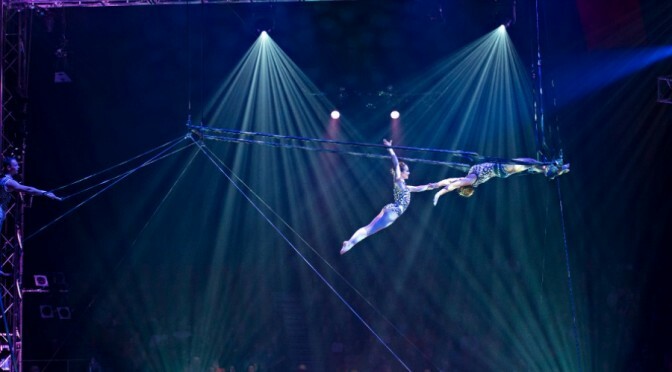 CIRCUS OZ IS KINDLY OFFERING TWO LUCKY READERS A COMPLIMENTARY A- RESERVE DOUBLE PASS TO THE 7.30PM SHOW ON SATURDAY 2ND JANUARY 2016. 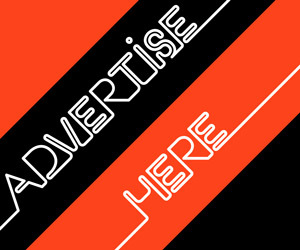 BE ONE OF THE FIRST TO EMAIL THE EDITOR-EDITOR.SYDNEYARTSGUIDE@GMAIL.COM AND DESCRIBE WHAT YOU LOVE MOST ABOUT CIRCUS OZ. WINNERS WILL BE ADVISED BY RETURN EMAIL- THIS OFFER HAS NOW CLOSED. 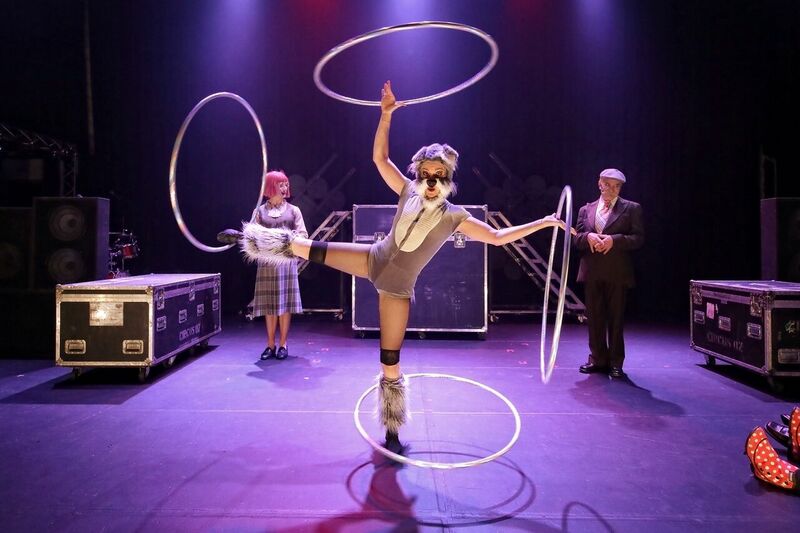 BUT WAIT…THERE’S MORE by Circus Oz is much more than clowns, acrobats, trapeze artists and jugglers. These performers are the building blocks in this highly entertaining show, quite literally, as they climb up, over and under each other. 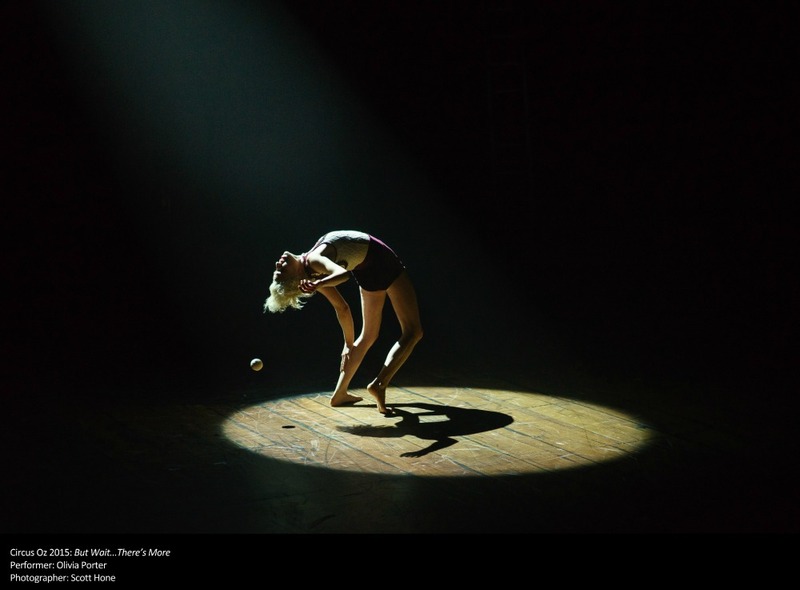 However, it is the stories and themes that are woven through the performance that lifts BUT WAIT…THERE’S MORE into a very satisfying level of entertainment.